WORLD para-taekwondo champion Amy Truesdale and her coach Peter Johnson have received special citations for their work developing the sport. Chungwon Choue, the president of the World Taekwondo Federation, has presented the Stoke UTA pair with certificates in thanks for their dedication. It came after Truesdale and Johnson were invited to guest at the under-23s International Wheelchair and Amputee Games at the Stoke Mandeville sport complex in Aylesbury. It was a chance for Truesdale to showcase the discipline before a vote in October to see if it will join the Paralympics for Japan in 2020. The 25-year-old, who lives in Chester and trains in Stoke, has competed and won medals at all five World Para Championships. She became k44 champion in Moscow earlier this summer, having been the first British athlete to win a Para European Championships gold medal just last year. 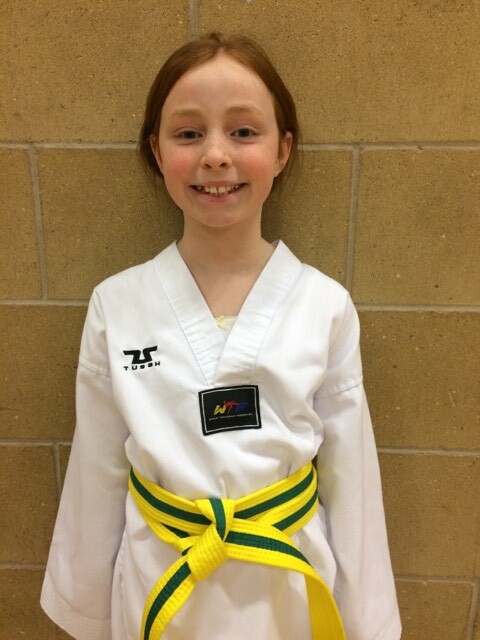 Johnson said: “Amy is recognised throughout the world as one of the only para-Taekwondo athletes to compete in all five World Championships and medal in them all. “She can see herself competing and winning gold if the sport is included at the Paralympics in 2020. Truesdale, who was born with part of her left arm missing, took on Para champions from Poland, Croatia and Denmark in the demonstration events. And she took a place alongside Johnson, British Taekwondo president Master Adrian Tranter and development officer Michael McKenzie in the presentation ceremonies. Olof Hansson, the World Taekwondo Federation’s Para competition co-ordinator, was on hand to represent the sport’s biggest global authority. Johnson, from Sneyd Green, said: “This was a very important event, with Para Taekwondo being showcased once again before the crucial vote later this year.